Today I share a homemade garlic hummus recipe with you I’m especially proud of. It has Turkish roots and is filled with wonderful memories. 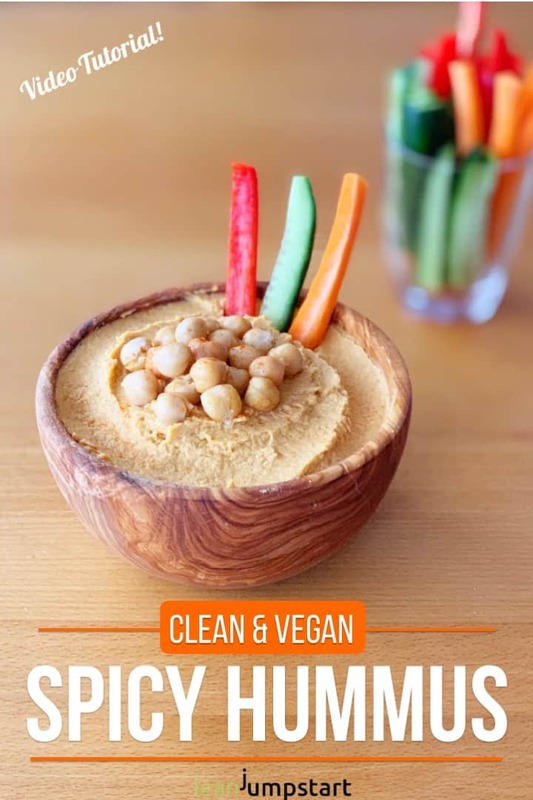 If you are used to store-bought hummus this simple recipe will help you ditch those artificial foods with a chemical aftertaste forever. I’ve created also a little video for you showing you in 55 seconds how easy it is to make it on your own. More about it in a minute. 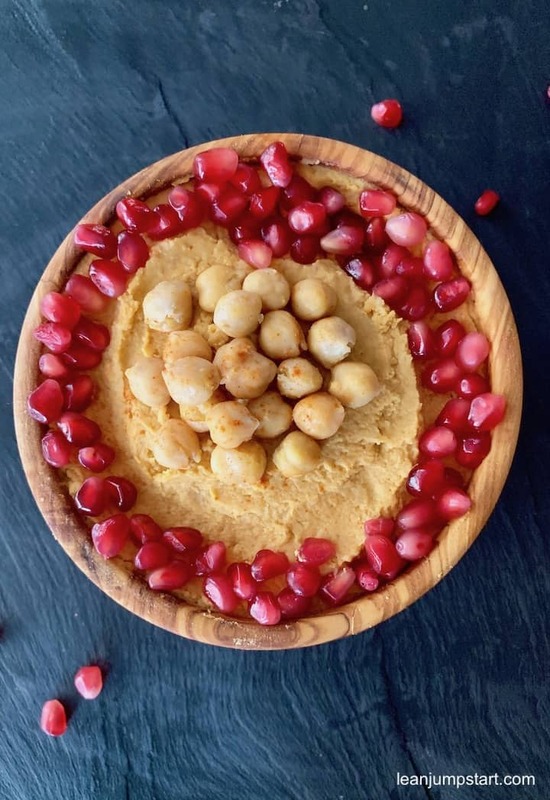 An authentic hummus dip I tasted for the first time many years ago in Turkey and I thought it was pretty yummy. It was our first family holiday then in Anatolia. We experienced there not only generous hospitality but also a land of plenty when it comes to various vegetable and legume delights. Since then this chickpea spread is a family staple and I have always some of it stocked in our freezer. We use it mostly as a dip with vegetable sticks or as a vegan spread with whole grain bread. But on certain occasions, I love to dress it up with some pomegranate seeds. Let’s jump into the recipe, shall we? Rinse chickpeas in cold water and put into food processor or pot (if you prefer to use a blender). Add the crushed garlic, olive oil, lemon juice, tahini, salt, cumin, sweet paprika powder, and pepper. Process it at medium speed for a few seconds (depending on your kitchen machine). Check consistency and if the spread is too firm add some liquid or drizzle of olive oil aiming for a consistency similar to mashed potatoes. Process again at medium speed for a few seconds until smooth and creamy. Note: chickpeas in cans are often salted. In that case, adding only 1/2 teaspoon of salt is more than enough. The lemon juice together with the freshly pressed garlic add spice too. 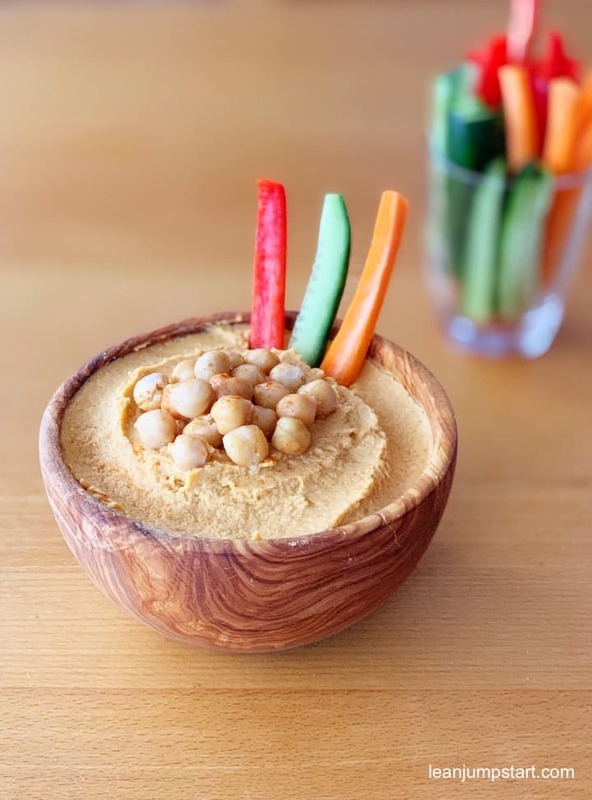 Check out below my video on how to make a delicious hummus spread quick and easy. To boost the color experience I often add an extra portion of paprika powder to the spread. For a deep yellow color, you could use turmeric, which is not only super healthy but also neutral in taste. By the way, turmeric similar to Safran can be added to literally any recipe which needs a warm yellow color. You can replace Tahini with peanut butter. Did you know that a dip based on dairy like sour cream or cream cheese usually doesn’t contain any fiber at all? The content of fiber in hummus, on the other hand, is impressive. You get it mostly from the chickpeas but also the sesame seeds in tahini provide the beneficial dietary fiber for digestion. You know that when it comes to clean eating I prefer the 80/20 approach. I try to eat clean whenever I can, but I leave also room for seldom indulgences. In consequence, I include in that 20 %, some “convenient foods in BPA-free cans” like tomatoes, beans, and chickpeas. If I’m lucky I can sometimes purchase organic chickpeas in jars when they are on sale. The cleanest approach, however, is to make my own chickpeas from dried legumes, when time allows. I let the dry chickpeas soak overnight in sufficient water for at least 8 hours. Then I transfer the soaked chickpeas to a clean pot with enough water to cover the beans. I bring it to a boil and let them simmer for 45 minutes (until softened). Do you love healthy, homemade dips that are easy to prepare? 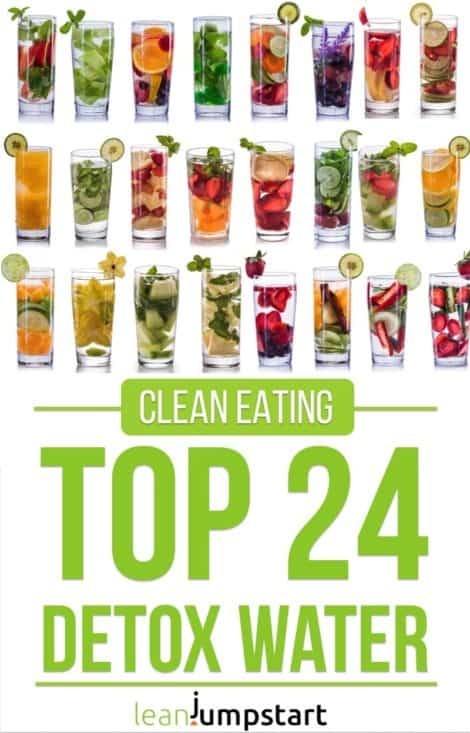 Then you should check out my 52 Chef Habits Ecourse, where clean eating spreads are an integral part of the recipe collection. i have been having a serious love affair with hummus lately. I eat it every day as part of my morning snack. I need to start making my own! Wow, Danielle!!! Although I’m also a huge hummus fan, your daily morning habit is hard to beat. Yes, I can highly recommend giving a homemade version a try. It’s so easy to make provided you have a good food processor! love a good hummus! I can only imagine all the wonderful tastes on the trip to Turkey! Yes, David, we will never forget the huge variety of delicious plant foods Turkey has to offer. You are welcome Noelle, yes spicy as it is it works fabulous with veggie sticks. I love roasted garlic hummus. It’s always a must when we are having people over. Yes Danii, I can relate to that. Hummus is a real crowd-pleaser and so flexible, too. I love dips and nearly always serve them with the aperitif when I have guests. 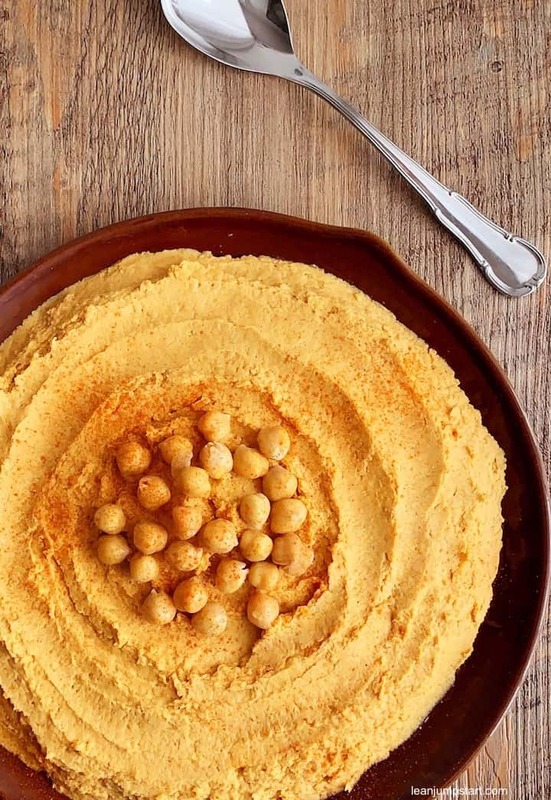 Hummus is one of my favourites and I agree the food in Turkey is so good! Great idea to add turmeric or saffron to get a more golden colour! Thank you, Jacqueline. Yes, I feel that that the golden color is more appealing to the eye than the original greyish color.